Gambling law in South Africa has changed many times over the years, especially when it comes to nationals enjoying casinos. After a long period from 1965 where they were banned, the government decided to allow the operation of casinos in 1996, only to ban them again. Currently, casinos are legal again and going through something of a boom, with many large resort-style casinos based in metropolitan areas, the most lavish sites being based around the tourist areas. 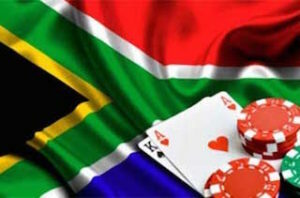 Online casinos in South Africa are effectively banned, although many of the large international sites are happy to accept players from South Africa. Here, you’ll see a guide to all forms of casino gambling in South Africa. Firstly I’ll take a look at the online scene, focusing on the legality of the games, moving onto a look at what you’ll find at some of the international casino sites. Then I’ll focus on the land-based casinos, with a run-down of casinos city by city, finishing with some information about the popular games in the country. In 2004, the ‘National Gambling Act’ prohibited ‘interactive gaming’, the wording of the act specifically targeting exchanging information online. Then in 2010, this law was tightened to include servers based outside of the country – this in effect meaning that online casinos are banned in South Africa. However, this doesn’t mean that it’s not possible to play at online casinos from within the country. Many international sites are happy for players to sign up from South Africa, and it seems individual players are not targeted at all. Financial transactions both to and from these sites go through without any major problems. Many of these sites are regulated within the country they are based, some even listed on the stock markets around the world. Online casinos offer an amazing range of online games, the majority of them specializing in slots. These slots will include theme based games (sometimes around films or TV shows), various numbers of reels and progressive jackpots, some of these featuring life-changing amounts. Traditional table games also feature, including Roulette, Blackjack, and Baccarat. You’ll find a good variety of these games, including ‘fun’ variations – for example, you’ll be able to play standard roulette, as well as multi-wheel Roulette, bonus Roulette, Mini Roulette, Pinball Roulette and many others. Some online casino companies also offer a live dealer casino. These sites will stream directly to your device from a dedicated casino studio where you’ll be playing at an actual table with a live dealer. This is as close as you’ll get to play in a casino from the comfort of your own home. They have easy deposits, generous roulette bonus and a great selection of single zero roulette games to play for real money online while enjoying the interaction with its South African live dealers. Check out 888 Casino to play live dealer roulette online. You’ll find a mix of resort-style smaller sites focusing on the local population in South Africa. The resort-style casinos are focused in the tourist areas and are lavish, spectacular sites. You’ll be able to play at gaming machines in bars as well as partake in sports betting online. South Africa features a great many casinos and as such, it’s not possible to list them all here. The major casino here is the Windmill International Casino and Entertainment center. Here you’ll find a great variety of both slots and table games. Cape Town is the most popular tourist destination in the whole of Africa, many flocking to see the amazing Table Mountain. Therefore it’s no surprise that you’ll find one of the most lavish casinos based here. The Grand West Casino features 78 gaming tables, where you’ll be able to play Roulette, Blackjack and poker variations amongst others. You’ll also find a dedicated poker room. 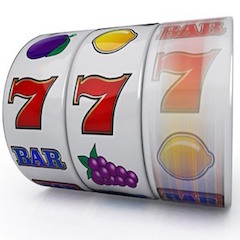 However, the most impressive feature of the casino is the slots, which number in excess of 2,500. Other casino opportunities are found in hotels, restaurants and conference facilities. The premier casino in Durban is the Sun Coast Casino, which features more than 1,500 slot machines, Durban is a popular tourist area, so casinos cater for players on vacation as well as the local population. You’ll find several casinos in the Jo’burg area, with casinos that cater for both regular players and high rollers. These sites include the Monte Casino and the Emperors Palace. The Carnival City casino is based just outside of the city. Sun City is a huge resort which features four top class, extensive hotels, and two international standard golf courses. Casinos are a major feature of the site, with play available at the Sun City Hotel, Cascades Hotel, and the Cabanas. Slots are hugely popular in South Africa and you’ll find that much of the floor space of casinos is taken up by these gaming machines. Blackjack is the most popular card game, and you’ll find a great range of table games including Baccarat and poker variations. Roulette is a popular feature, many sites featuring multiple tables, including European and American versions of the game.